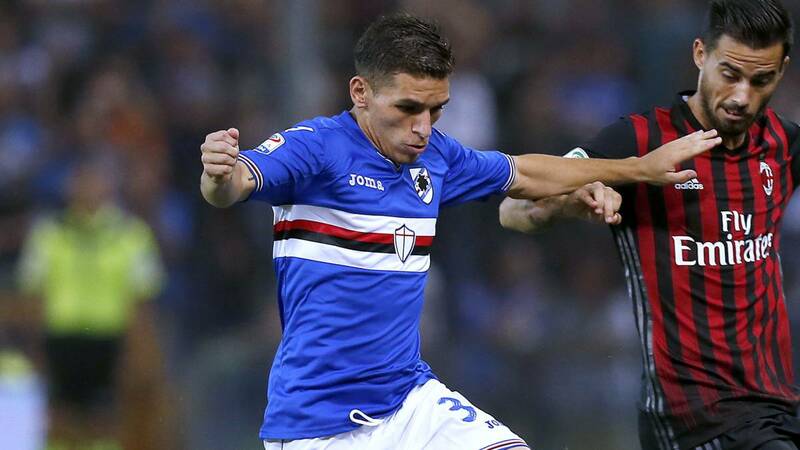 According to a report by the Sun, Arsenal are eyeing a move to sign Sampdoria midfielder Lucas Torreira and could trigger his £22m release clause this summer. Unai Emery has made strengthening our defence a top priority after replacing Arsene Wenger as manager earlier this month as we shipped an embarrassing 51 goals in the league last year. However, we also need to provide more adequate protection to the back four if we’re to resolve our issues in defence as we’ve lacked a ‘proper’ defensive midfielder in recent years. Granit Xhaka has been deployed in the holding role but the Switzerland international is more of a deep lying playmaker and he’s often criticised for lacking the positional awareness needed to track runners in front of the back four. Emery is a fan of playing with two defensive midfielders so it’s no surprise to read that he’s lining-up his transfer targets and the Sun is citing a report from CalcioMercato that claims Arsenal are eyeing Torreira. The 22-year-old has been in excellent form since joining Sampdoria from Pescara two years ago and he’s been called up to the Uruguayan squad ahead of this summers World Cup. It seems his potential has alerted Arsenal scouts as the report suggests that we could trigger the defensive midfielders £22m release clause in order to get a deal wrapped-up before he heads off to Russia. However, we aren’t the only club in the race for Torreira’s signature as the newspaper says Liverpool, Everton, Juventus and Napoli are also eyeing the South American so we’ll face plenty of competition. I don’t think there is any doubt we need to add a defensive midfielder to the team as it’s been a problem area for years and Torreira has all the qualities we need to strengthen our side in the middle of the park. His £22m price-tag is within Arsenal’s budget – which is reportedly set at between £50m-£70m – so we’d have plenty left over to strengthen other areas of the squad.